Prof. William Wan is a Professor in the Department of Management at The Chinese University of Hong Kong. He is also serving as Co-Director of the EMBA Programme and Director of the Centre for International Business Studies. 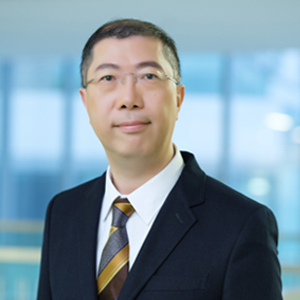 Prior to joining CUHK in 2018, he was a Professor and Associate Dean (Research and Faculty) at City University of Hong Kong. Previously, he was an Associate Professor and the Trinity Company Professor of Management at Texas Tech University, as well as an Associate and Assistant Professor at Thunderbird School of Global Management. He received his Ph.D. in strategic management from Texas A&M University. He has taught at the undergraduate, masters, doctoral, and executive education levels. He had industry experience in real estate and international consulting in Hong Kong and California, respectively. Prof. Wan’s expertise is in corporate strategy, international strategy, mergers & acquisitions, corporate governance, and strategic entrepreneurship. He is currently serving as an Associate Editor of Journal of Management, and was a Consulting Editor of Management and Organization Review. Also, he is serving or has served on the editorial boards of a number of leading management and international business journals, including Academy of Management Journal, Journal of International Business Studies, Journal of Management Studies, Journal of World Business, and Group & Organization Management. In addition, he had been elected as a Representative-at-Large at Strategic Management Society’s Corporate Strategy Interest Group. His research has appeared in many top-tier scholarly journals. D.W. Yiu, W.P. Wan, and Y. Xu, “Alternative governance and corporate financial fraud in transition economies: Evidence from China,” Journal of Management, forthcoming. X. Wang, W.P. Wan, and D.W. Yiu, “Product diversification strategy, business group affiliation, and IPO underpricing: A study of Chinese firms,” Strategic Entrepreneurship Journal, forthcoming. R.M. Holmes, R.E. Hoskisson, H. Kim, W.P. Wan, and T.R. Holcomb (2018), “International strategy and business groups: A review and future research agenda,” Journal of World Business, 53:134-150. W.P. Wan, S.H. Chen, and D.W. Yiu (2015), “Organizational image, identity, and international divestment: A theoretical examination,” Global Strategy Journal, 5:205-222. D.W. Yiu, Y. Xu, and W.P. Wan (2014), “The Deterrence effects of vicarious punishments on corporate financial fraud,” Organization Science, 25:1549-1571. D.W. Yiu, W.P. Wan, F.W. Ng, X. Chen, and J. Su (2014), “Sentimental drivers of social entrepreneurship: A study of China’s Guangcai (Glorious) Program,” Management and Organization Review, 10:55-80. X. Wang and W.P. Wan (2013), “Explaining the variance in underpricing among venture capital-backed IPOs: A comparison between private and corporate VC firms,” Strategic Entrepreneurship Journal, 7:331-342. J.C. Broberg, A. McKelvie, J.C. Short, D.J. Ketchen, and W.P. Wan (2013), “Political institutional structure influences on innovative activity,” Journal of Business Research, 66:2574-2580. W.P. Wan, R.E. Hoskisson, J.C. Short, and D.W. Yiu (2011), “Resource based theory and corporate diversification strategy: Accomplishments and opportunities,” Journal of Management, 37:1335-1368. W.P. Wan, and D.W. Yiu. (2009), “From crisis to opportunity: Corporate acquisition, organizational slack, and firm performance before and after environmental jolt,” Strategic Management Journal, 30:791-801. L. Tihanyi, R.E. Hoskisson, R.A. Johnson, and W.P. Wan (2009), “Technological competence and international diversification: The role of managerial incentives,” Management International Review, 49:409-431. W.P. Wan, D.W. Yiu., R.E. Hoskisson, and H. Kim (2008), “The performance implications of relationship banking in macroeconomic expansion and contraction: A study of Japanese banks’ social relationships and overseas expansion,” Journal of International Business Studies, 39:406-427. W.P. Wan and A.J. Hillman (2006), “One of these things is not like the others: What contributes to dissimilarity among MNE subsidiaries’ political strategy,” Management International Review, 46:85-107. J. Gimeno, R.E. Hoskisson, B.D. Beal, and W.P. Wan (2005), “Explaining the clustering of international expansion moves: A critical test in the U.S. telecommunications industry,” Academy of Management Journal, 48:297-319. W.P. Wan (2005), “Country resource environments, firm capabilities, and corporate diversification,” Journal of Management Studies, 42:161-182. A.J. Hillman and W.P. Wan (2005), “The determinants of MNE subsidiaries’ political strategies: Subsidiary, parent, and host country effects,” Journal of International Business Studies, 36: 332-340. H. Kim, R.E. Hoskisson, and W.P. Wan (2004), “Power dependence, diversification strategy and performance in keiretsu affiliated firms,” Strategic Management Journal, 25: 613-636. W.P. Wan and R.E. Hoskisson (2003), “Home country environments, corporate diversification strategies, and firm performance,” Academy of Management Journal, 46: 27-45. L. Eden, M.T. Dacin, and W.P. Wan (2001), “Standards across borders: Crossborder diffusion of the arm’s length standard in North America,” Accounting, Organizations and Society, 26: 1-23. R.E. Hoskisson, M.A. Hitt, W.P. Wan, and D. Yiu (1999), “Theory and research in strategic management: Swings of a pendulum,” Journal of Management, 25: 417-456. Best Paper Award for the Strategy/ Organizational Theory / International Management Track, Southern Management Association Annual Meetings, 2009.